This project entailed installing a passive treatment system for the water flowing from the Bell Colliery Drift. 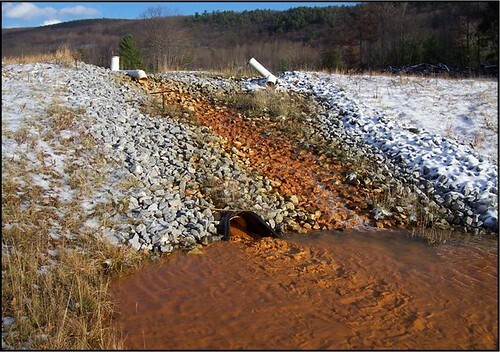 As is the case with many abandoned mines, water gathers in the underground tunnels where it “picks up” metals and, eventually, flows into the Schuylkill River. In addition to the metals themselves having an undesirable effect on the river, Bell’s AMD water is acidic. With the new treatment system, water now first flows through large cells filled with limestone, which decreases the water’s acidity and makes it easier for the metals to drop out of the water. 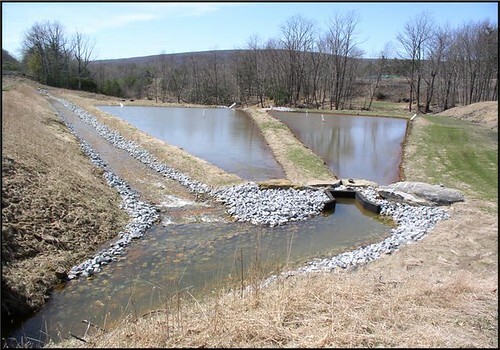 Next, the water flows into a settling pond and a wetland cell, both of which catch the resulting metal sludge before it can be carried into the Schuylkill River.